Today’s interview is with the lovely and truly talented Belle Salisbury, a Psychic Medium and Spiritual Counsellor. Belle has worked with people around the world, helping them find clarity, love, healing, and peace. I was ecstatic over having her answer a few questions about her gifts and all the amazing things she’s been up to! When did you discover you had psychic abilities? I have been able to see the souls of those on the other side since I was a young child. The first I recall was a woman with dark brown hair pulled to the back of her head. She was a simple woman that appeared to be in her mid-thirties. Although she never spoke, her energy was always loving and comforting so I was never fearful of her presence around me. It was not until several years later when I was shown a picture of my mother’s mother that I realized who this caring woman was. My spirit visitor was my departed grandmother, Lily Belle, who had passed before I was born, yet it seemed only I could see her. I was also able to know things beyond the capability of a young child. Whether it was information about a person, or just things in general, it was rather confusing trying to understand how I could know such information without any prior knowledge. My grandmother Alley would refer to my ability as ‘the knowing.’ I knew it to be a part of God. How did you ‘hone your craft’ so to speak in order to help others and eventually become a Spiritual Counselor? All throughout my youth I searched for answers in a quest to understand my ability to speak to departed souls when it seemed others could not. I felt quite alone from my family and friends who could not see nor hear what seemingly flowed to me from someplace outside of our present reality. For years I noticed how others only looked at me with confusion, or wondered if perhaps I was delusional. But I knew I was in touch with something greater than their ability to understand. I connected with a Spirit Guide at a very young age, who is still with me to this day, by the name of Three Feathers. I now know him to be my Life Guide who entered with me from the time I was born and will reside with me until I depart this earth realm. He is my mentor in that he helped me to understand my abilities and how I was to use them. I spent most of my adult life studying every book I could find in search of understanding what it was that I did that made me feel so different from others. I connected with like-minded individuals which proved to be valuable in sharing similar experiences that helped me to feel that I wasn’t so strange after all. I furthered my studies and education in the field of Metaphysics and later became an ordained Minister in the Spiritualist faith. Would you mind explaining what a Spiritual Counselor does and how long you’ve been helping others find closure? As a Spiritual Counselor I provide guidance to those seeking to better understand their life path. Although I do enjoy helping those who have distinct questions around their life experiences, I find my greatest joy is in assisting others to better understand why they are having these experiences and help them to grow through them rather than just going through them, only to repeat these same experiences time and again. I feel it is so important to understand our life lessons. We chose our life path before coming into this particular lifetime. And with each choice we make through our own free will we create new experiences or lessons to grow through. My psychic ability enables me to see where their lessons lie and assist them in healing and progressing to embrace their lessons with love and understanding. Whether ones experience is through the growth of making wise decisions or in healing through the loss of a loved one, as a Spiritual Counselor I assist them with understanding and seeing the purpose in these lessons. 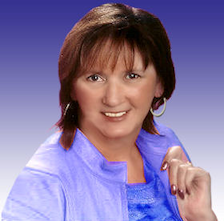 I have been working as a professional psychic medium for 38 years. I have seen my work evolve over the years as we spiritual individuals have evolved toward a more meaningful existence. It is a great honor to be able to assist others along their path of learning and growth which has allowed me to grow within my own understanding of my life purpose. Bellésprit which I now know means ‘beautiful spirit’ is such a lovely & healing site. When did you first come up with the idea for the magazine? I was first impressed with the idea of creating a magazine in September of 2011 when I was told by Spirit that knowledge was to be shared freely. I felt a magazine platform would be the perfect fit in which to distribute the things I have learned throughout my life. I shared the idea with a few of my close friends who loved it and were anxious to come on board as contributors to assist in the idea of sharing what they had acquired. It took a couple of months to come up with the name for the magazine. Spirit kept giving me the name belle…something. I couldn’t quite make out the full name of what they were saying. I believe that was partly because I did not want my name on the magazine so I was rejecting their suggestion. I did not want the magazine to be about me or have any part of ego. Still, they insisted upon belle… Finally they stated more clearly ‘beautiful spirit.’ I loved it! So, I researched the name and found that there was already another business using the term beautiful spirit. Then it came to me, the belle connection Sprit was trying to make with me; beautiful spirit – bel esprit. Spirit was giving me the French wording for beautiful spirit, and Bellesprit was born. I created a Facebook Fan Page for Bellesprit and began working on a mission statement. To my amazement, the very next morning I had 75 likes on the Fan Page and I hadn’t even begun promoting it as it was still in the planning stages. Even more incredible was several of my friends on Facebook contacted me asking if they could also contribute to the magazine’s content. The concept of Bellesprit was appealing to them and they also believed in sharing their knowledge. To date, we have 53 contributing columnists in Bellesprit. We all agreed that the magazine should be offered as a free online magazine to continue with our goal of sharing knowledge freely. A friend helped me with creating our website in which to display our magazine. So, here we are a year and a half later and Bellesprit has blossomed into the beautiful work of others being shared with the world. I so appreciate the diamond emblem on your magazine and how it signifies ‘diamond in the rough.’ At one point in your life did you feel like you were an undiscovered gem? Spirit is also responsible for giving me the idea of using a diamond as our logo for the magazine because it represents our full soul quality. Like a faceted diamond, each facet is unique holding a beauty all its own. Each facet represents a different characteristic of who we are as individuals, and yet when we look at the whole diamond, with its flaws and inclusions, we see the exquisiteness of the diamond in its entirety; the collective of the whole soul quality demonstrating that even in its imperfections it is still seen as beautiful. I’ve always felt I was different from others as I was growing up. My goals in life didn’t necessarily resonate with theirs. I especially felt this from my own family from feeling I was different with my abilities, to what I wanted to be when I grew up. They were always insistent on my obtaining a ‘real’ job that paid well verses working for myself as a self-employed psychic medium. They just didn’t understand my need to follow my path and be true to what I knew I was meant to do in this lifetime. I felt the importance of embracing my abilities and utilizing them in which to help others. So even though I didn’t follow their plans for me, I am able to see the beauty in what I have chosen to do with my life. I read your recent interview with actress Tera Garnett which is extremely inspirational for all women especially those who’ve been abused. How do you come up with your interview ideas and questions? It was a great honour meeting and working with Tera during her interview. The questions that were asked just seemed to flow throughout our conversation. As she shared her many different character roles in the movies she has been in I was able to see the pattern she was being type-cast in. I was curious if she had also felt there was a repeating pattern and what that meant to her. I was especially interested in her use of empathy, which is what we know to be a psychic ability, in developing her characters and actually feeling what the experience must be like to have been abused. We realized from that content that this was to be the message of her feature article for our September issue. You’re such a light for love and hope, what keeps you inspired and motivated each day? Knowing that others are enjoying Bellesprit Magazine and gaining from it what we set out to accomplish is such a blessing to me. I have received emails from so many of our readers who have thanked me for the magazine and express how much it has helped them in their lives. I am so grateful for the guidance I receive from God each day in the direction our magazine is to take. I know He speaks through our magazine contributors in the messages they bring each month. I am especially grateful for my husband and children who are my greatest supporters and fans who continue to encourage me to live my truth. Do have any suggestion for those wanting to tap into their undiscovered abilities and start allowing more light & love into their lives? Oh my, that is such a good question. My advice would be to stay close to your own personal belief system as a guide in your daily life. We are all blessed with abilities that can be used to guide us throughout our life. It is a matter of listening to that still small voice within. What I do is nothing special that isn’t already within each of us. Spirit offers that as long as we can live our lives filled with love in all things and an appreciation for our trials as a means in which to grow, we can live a life of fulfilment. I believe we are the product of two main energies; love and fear. Fear is merely an avenue in which we can discover areas in need of healing where our weaknesses lie. When we can understand the fear by gaining knowledge of it, where it comes from and why, then the healing can begin. We then come to realize where fear once existed, forgiveness can take place and love can fill that void. I do offer an intuitive development course online that runs for 8 weeks that is designed to educate about our various abilities and where they come from. I teach students how to connect with their abilities and recognize which is their strongest ability and how to work with them on a daily basis. Actually, I will be offering this course once again in October. For those who may be interested in taking part in this course can contact me at belle@bellesalisbury.com. Learn more about Belle and her amazing talents on her website. Thank you for these lovely answers, Belle! I so appreciate what you do for others. When you mentioned how you assist others in discovering why they’re here and help them see ways to grow instead of repeating the same thing over again I immediately thought of EFT! Which truthfully most things link to EFT in my mind! So many people have difficulty understanding why they do these things again and again...get in the same seemingly dead-end relationships; same types of low-energy jobs; continue to overeat; etc. I think it's amazing what you're doing to help others discover their own talents & beauty! We've all been there wondering Why and How does these things keep happening & showing up in our lives? When you first accept where you’re at and give yourself love, compassion, kindness and acknowledgement (no matter what) it creates a path for healing and forgiveness. This in turn allows you to develop new healthier ways to live and start creating the kind of life you want. If you haven’t tried EFT you can discover more about it's healing abilities on my website and also check out & subscribe to my YouTube channel. Thanks for reading and remember to keep (or start) tapping! 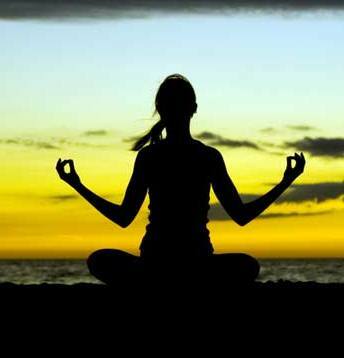 Um like Om..Learning to Meditate One 'Om' at a Time! Until I started using EFT (Emotional Freedom Techniques) consistently I always found it very difficult to meditate for more than 5-10 minutes. Sitting in the floor or on a pillow for an extended amount of time felt a bit agonizing to me! I was like, “You want me to focus on my breath and chill for more than 20 minutes…are you serious?” Then I tried a few meditations with mantras and chanting. The chanting gave me something to focus on, which helped a great deal. Some part of me felt connected to those chants and I started to open a bit more to the idea of having a more consistent meditation practice. About two weeks ago my brother asked me if I’d like to meditate with him. He usually meditates for at least half an hour. Truthfully, I wasn’t sure if I could do it. When we first started I felt a bit anxious, Can I sit here and breathe…Can I just ‘be’ for a little while? I asked myself these questions and heard "Yes” somewhere within. At first I focused on breathing in and breathing out, my body swayed gently with my breath. Then my mind became beautifully quiet and alive all at the same time. I was completely relaxed and aware. When Nate told me the 30 minutes was up I was a bit surprised. I was proud of myself and I must say I slept exceptionally well that night. Now I’ve started meditating a few minutes in the morning or at night (whichever works best) and realize how much more centered and calm I’ve become. I recently started a daily meditation & mantra. My friend Allison told me about this 21-day Mantra Meditation Journey, we did yoga the other day and she shared the mantra with me. I started it that day with Ally, day 3 of twenty-one days. This mantra-journey is with Deva Premal & Miten, a beautiful and loving couple. Once you sign up you’re able to listen to previous days recordings and do the mantras whenever you choose. These mnatra’s touch on love, healing, awareness, and much more. They’re truly beautiful and it’s wonderful to chant along. If you’d like to be a part of this totally free program go to www.mentorschannel.com and sign up. You will receive a link to a new mantra each day. If you’ve tried meditation and struggled a bit I recommend incorporating some EFT into your meditation practice. It’s a simple, fast technique anyone can use to reawaken the meridians and calm the mind. EFT combines lightly tapping the acupressure points while talking out or simply breathing through something that stresses or bothers you. Try EFT when you’re brainstorming to tap into your creative juices, or any time you want to find a some peace. Please visit and subscribe to myYouTube channel and stop my new website for more info. Don’t miss next week’s interview with Belle Salisbury, Certified Master Psychic and Medium! Learn a bit more about Belle, her abilities, her lovely online magazine Bellésprit, and how she’s created a life and business she’s proud of! Be sure to check back next Tuesday September 17, 2013 for another great interview! Remember to keep tapping!